Your whole family is looking forward to coming to Asia – and likes to get to know these wonderful pachyderms? Come and visit us – we will carefully take you and your children to the grey giants! 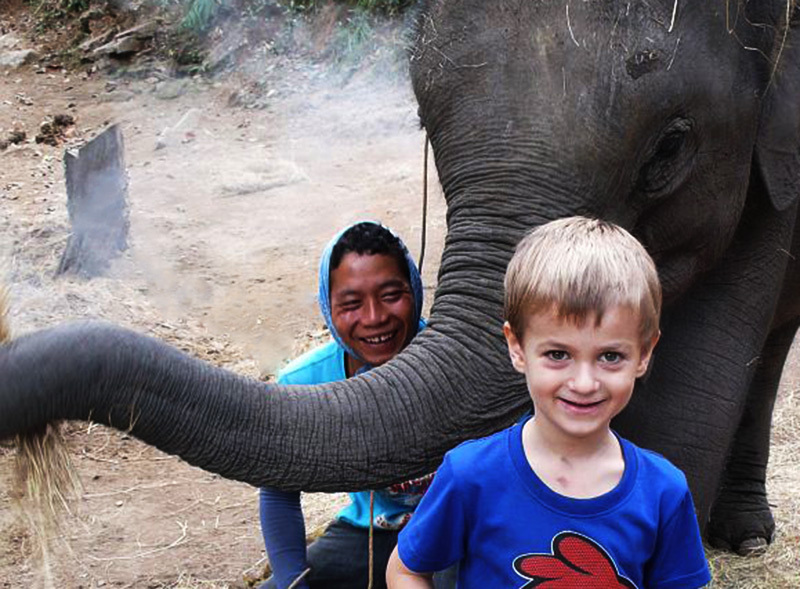 We have many years of experience in interaction between children and elephants and are always right beside you! 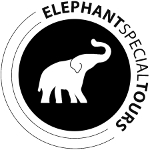 In general, children from 3 years onwards are suitable for the programs of Elephant Special Tours. Just like our grown-up particiants, children get their “own” elephant for the duration of the tour. As an additional security, the elephant trainer (mahout) will take a seat right behind your child to be able to assist wherever necessary. The tours Education Trip – 3 days, Lovely Elephant Trip – 2 days, Elephant Bonding Tour, 5 days can be adjusted suitable for children. Due to the big share of cultural information, our Elephant Driver’s License is not suitable for children below 13 years. Children below 13 years will get a discount of 30% for the price stated. Before this three-day trip, I had had little to do with horses, let alone elephants. Thanks to Roger and his team of mahouts, I rapidly got used to being around these impressive animals and enjoyed riding “my own” Elephant, Mae Goeg I, for this period. My boys (4 and 6) also quickly overcome their reluctance and rode themselves (each one accompanied by a mahout), having lots of fun. My wife also appreciated the variety of the programme : small trips in the neighbourhood showed us a bit of the local life, i.e. a Karen village, an agricultural programme, a kindergarten.